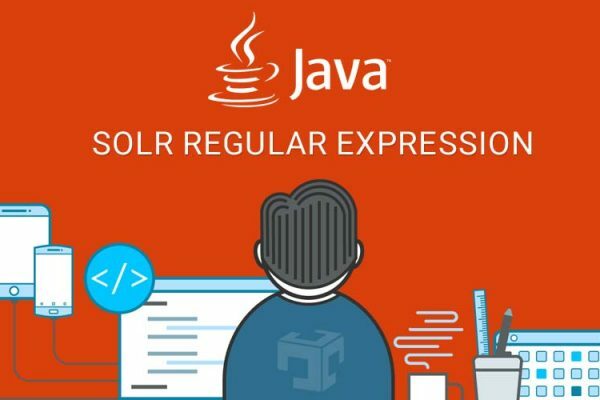 Solr support wild card search using two special operators * and ?. We can specify more than one wild card operators within a single term. Solr default query parser does not support wildcard characters in a phrase search. Wild card query matches documents that have fields matching a wildcard expression. user’s query will be rewrite into lucene’s wild card query or prefix query.In case of solr core contails, millions of documents wild card searches can be run slow compared to normal term query as it needs to iterate over many terms. As we discussed, * and ? characters are used for wild card searches. In below example, we have use single ? character in search term and multiple ? characters as well. q=manu:samsu?g OR name:char?ct?rs OR features:tec??olo?? * character used to search for zero or more characters.For example wild card search *zone will matches jdzone,javazone and javadeveloperzone. We can also combine single characters(?) and multiple characters (*) in a single search term. In this article, we have discussed some basic of solr wild card query. Special characters that are used in wild card query with example. Refer Solr Reference Guide, Solr Multiple Filter Queries, Main Query vs Filter Query for more details.